One of my favorite brunch spots in downtown Raleigh is Centro. Centro&apos;s Sat. brunch menu is reasonably priced with entrees ranging from $5-9. I guarantee you&apos;ll leave with a satisfied belly and perhaps in need of an afternoon nap. Peruse Centro&apos;s cocteles menu as you relax outside underneath an umbrella on the patio. You&apos;ll notice a variety of traditional brunch drinks with a twist. I&apos;m a huge Bloody Mary fan at any brunch establishment, however, Centro&apos;s Bloody Maria is of higher caliber. 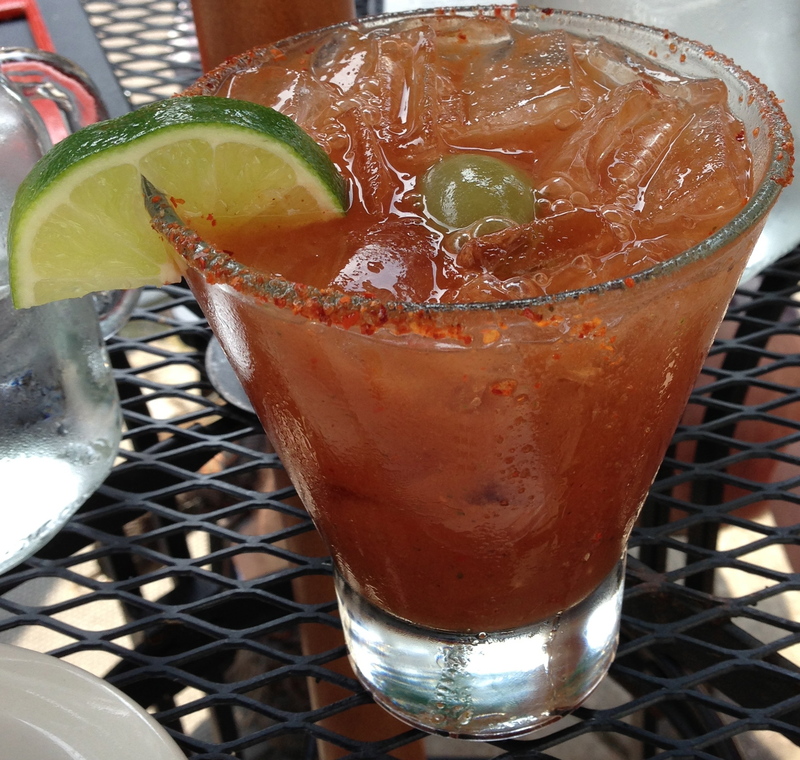 The Bloody Maria includes Jimador Blanco, sangrita and a chile piquin-salt rim. If you&apos;re like me and you love spicy, try the habanero-infused Jimador Blanco, which will surely awaken your taste buds on a lazy Saturday afternoon. I suggest dining at Centro with a group of friends so you have the opportunity to sample a variety of dishes. I ordered the Cacerola de Huevos, egg y queso frittata. You can have the frittata with either chorizo y rajas or spinach and mushrooms. Luckily, my server made the perfect suggestion to order the dish with everything included. 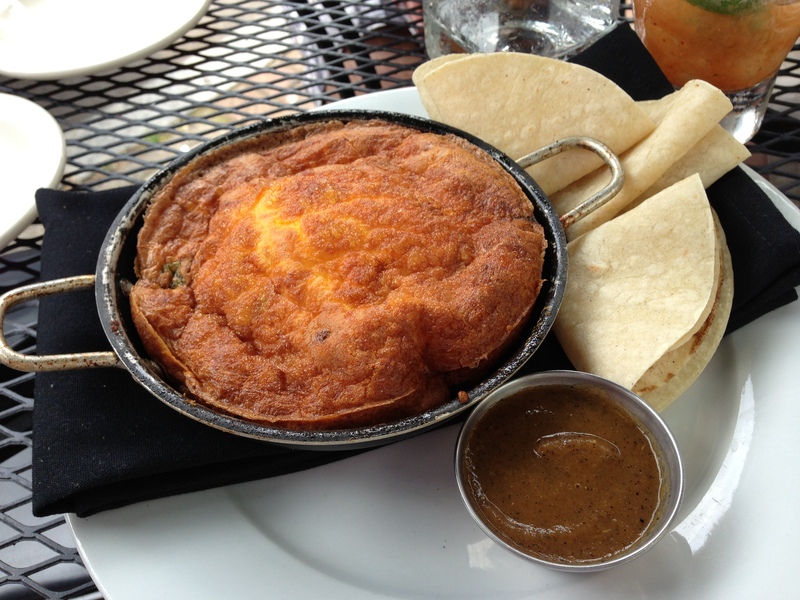 Three warm corn tortillas are also served with the frittata. The frittata was light and airy with crispy brown edges. I placed portions of the frittata inside a corn tortilla and topped it with Centro&apos;s ranchero sauce. 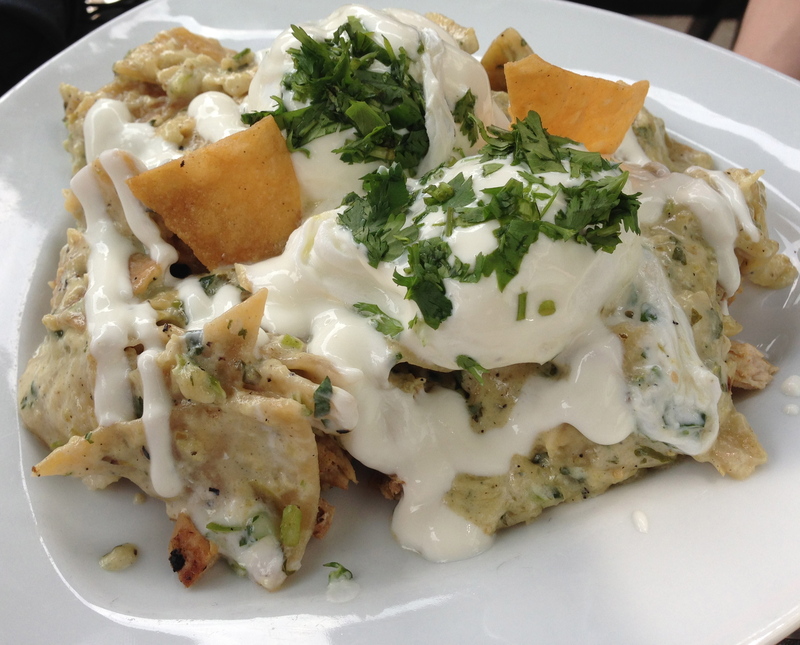 Colin ordered the Chilaquiles con Huevos Ahogados, corn tortillas with chicken in a creamy tomatillo salsa verde topped with two poached eggs. You have the option of ordering the dish with either chicken or steak. We especially enjoyed the fresh cream drizzled on top of the poached eggs, which added a sweet flavor to the dish and balanced the tart tomatillo salsa verde. Curtis ordered the Calentado, perfect for those of you craving authentic Mexican comfort food. 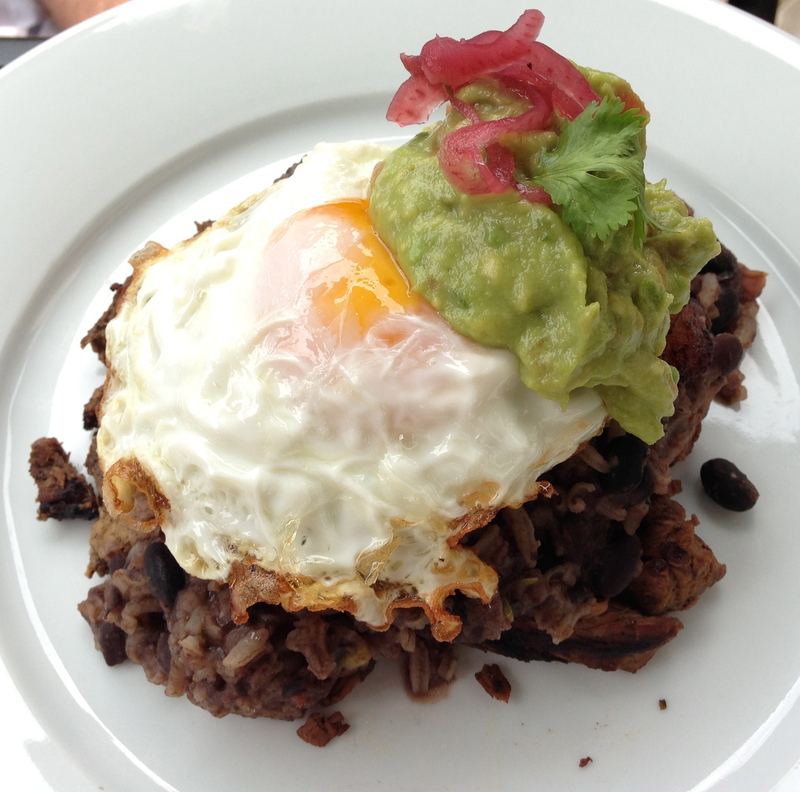 Calentado is rice and beans topped with plantains, a fried egg and guacamole. Basically take all of my favorite foods and pile them high on a plate. You can also choose to add steak or chicken to the dish. Centro&apos;s ingredients are high quality, which makes all of their food exceptional. Centro takes pride is using organic and local products, including free range eggs. Bring your friends and family out to brunch on Sat. at Centro. The prices, quality and taste of the dishes and drinks will certainly surpass your typical brunch expectations.